About Us | Xi'an Changyue Biological Technology Co.,Ltd. Xi’an Changyue Biological Technology Co.,Ltd. was established in Oct., 2003. Located in Hi-tech Industry Development Park in Xian city, Xi’an Changyue Biological Technology Co.,Ltd. is a hi-tech private enterprise specializing in the extraction and separation of active ingredients from natural plants and Chinese traditional medicines. At present, Changyue has a factory which can annually process 1,000 tons of plants and raw materials of Chinese traditional medicines, and complete facilities (extraction, condensation, chromatography and drying apparatus). Meanwhile, we have 80 employees, 25 of them are senior or medium grade technicians. 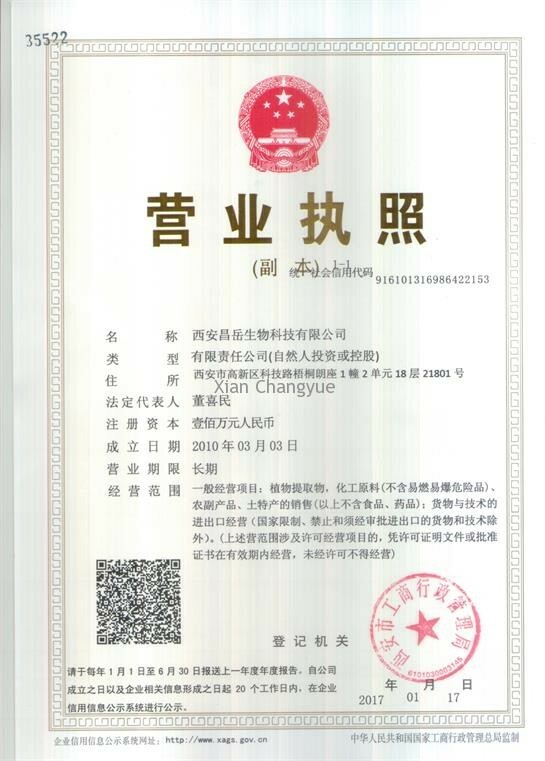 Moreover, there are licensed pharmacists (Chinese traditional medicine) working for Changyue now, thus we have the good ability to purchase safe materials and produce qualified products. 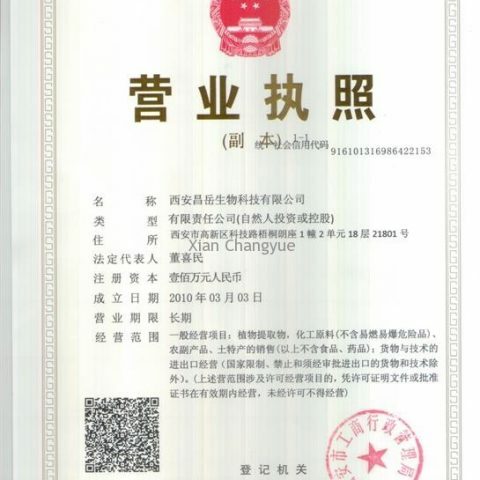 Now, we can produce over 100 kinds of plant extracts, which are well sold in EU, USA and Korea, etc. Upholding such tenet of “Human oriented, concerned about human health”, we are working hard to produce quality products for the human’ health industry. Changyue looks forward to communicating and cooperating with friends all over the world.